The curtains closed on the 53rd annual Denbigh Agricultural and Industrial Show on Monday (August 1), with the organizers in high spirits based on the unprecedented number of patrons in attendance. Way into the night, when the final performance ended on stage, hundreds of patrons were still milling around the venue while the vendors were out in numbers displaying their wares. An elated Senator Norman Grant, President of the organizing body, the Jamaica Agricultural Society (JAS) pointed out that despite seven disasters between September of 2004 and July 2005, including three hurricanes, the farmers were able to put on a good show for Denbigh. “This is a clear demonstration of the resilience of the farmers of Jamaica and we all should applaud the farmers effort,” he stated. Senator Grant informed that the damage to the agricultural sector after Hurricane Ivan was significant, with the Denbigh showground suffering some $50 million in damage. “We had to spend some $25 million to stage the show but today, I am extremely happy that the patrons have demonstrated once again that they love the farmers,” he said. 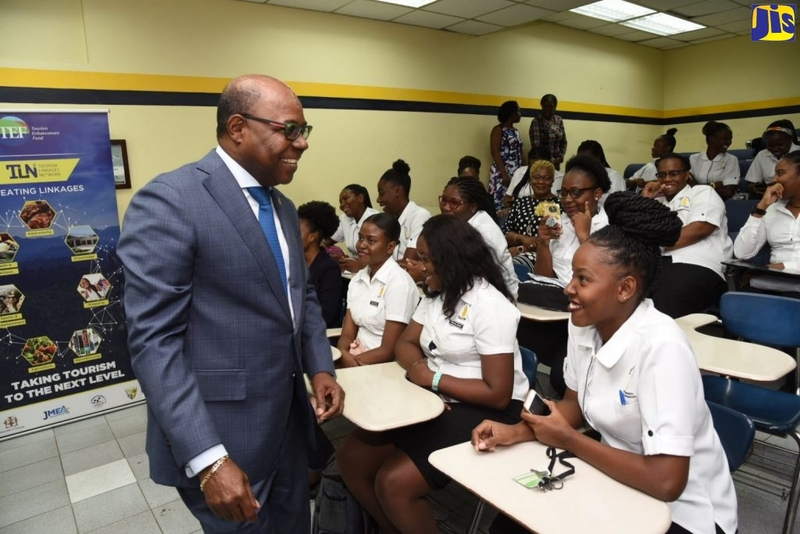 He also made special mention of the more than 80 Caribbean delegates, who attended the event this year, which he said, was the largest contingent of overseas representatives in the 53-year history of the show. He noted that the sector was ready for the Caribbean Single Market and Economy and would be going after a number of regional markets, now being served through imports. One of these markets is St. Maarten, which was one of the Caribbean islands officially represented at Denbigh. The country imports some US$1 billion worth of agricultural produce and other foods to feed over 120,000 people on a daily basis, including tourists. “The farmers of Jamaica are going to go after those shares to make sure we produce as much as possible to fill some of those demands. The farmers are ready to produce, to build up rural communities and help transform Jamaica’s economic future,” Senator Grant stated. Meanwhile, he said the JAS has been instrumental in helping the farmers to recoup after Hurricane Ivan. “The JAS went to work and based on our own efforts, we were able to raise some $30 million to assist some 15,000 farmers to get back on their feet,” he informed, adding that $10 million was raised for the fishermen and $1.5 million for the bee farmers. Senator Grant also pointed out that the JAS has formed an alliance with the Jamaica Manufacturers Association and has launched a campaign to encourage financing agencies to lower interest rates to farmers. “We want to be involved in another campaign, one which seeks to advance the process of rural development. We feel that rural development is critical to the development of the economy on a whole,” he stated.